What’s better than a burrito? No, seriously–that’s a tough question. And yet we may have found an answer in The Cordito. This cord wrap is a chic and functional way to transport your plugs without the hassle of having them tangle amidst trip. 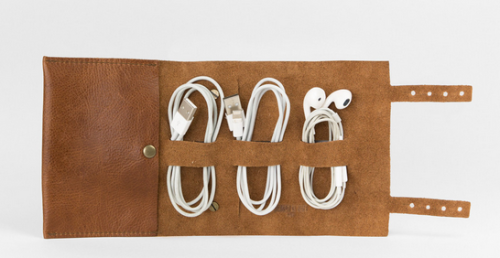 For a design-oriented guy, or gal, The Cordito and Cord Tacos are perfect supplemental stocking stuffers this year. Made by uber cool LA based, handmade leather goods company This Is Ground, these little carriers combine gorgeous supple leather and simple utility!